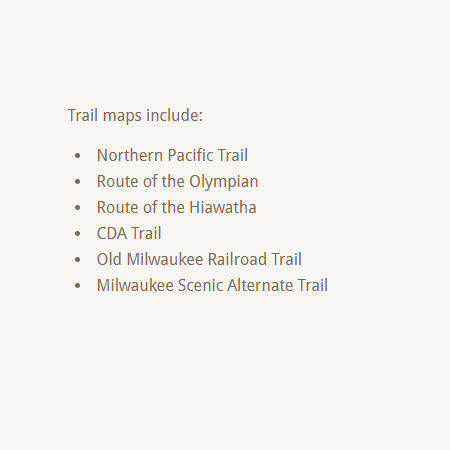 These packs include each include all of the maps contained within either the “Routes” or “Trails” categories of the site. 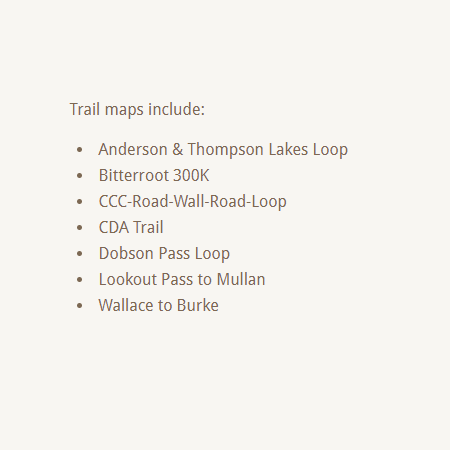 They both also include the CDA Trail Digital Map as a bonus. These are the individual digital maps.